On the 2nd day of October in 1869 in the Hindu Modh Family in a village called Porbander presently in Gujarat. A baby was born to Putlibai and was named as Mohandas Karamchand. His Father name was karamchand Uttamchand. Mohandas went to a near-by school for his primary education where his teachers use to complain about his studies that he is smart at English poor at Geography. At the tender age of 13. Mohandas got married to Kasturba. He himself said in his own words that marriage was just a ceremony to wear new clothes and eat sweet. After marriage, he completed the higher education and was curious about Barrister in London. His mother gave freedom as he was curious in studying aboard. He went to London to pursue Barrister. He struggled for food as he was an Indian Brahmin who cannot eat Non-veg items. By struggling day in and day out he completed his studies and awarded Barrister. After completion of his education he came to India to work here itself. Then he accepted an agreement from a Muslim trader whose business was based in South Africa in the city of Pretoria. Mohandas faced racial discrimination from the British citizen where he was thrown out of Train and he was beaten by the European driver for not allowing the European passenger. He was not allowed to check in some Hotels. One day, he was in court and was asked to remove the turban he didn’t take off, but he was warned for not removing turban. Indian present in the South Africa were savagely discriminated by whites. By watching these atrocities towards Indians, he started the Civil Activist Rights Movement in South Africa and thought to be SATYAGRAHI. This moment in his life has modified him and started the protest against discrimination on Indian from whites and said that Indian traders and labour must be treated on par with the whites. Mohandas was requested by the Gopala Krishna Gokale to return to India. Because In 1914, the famous Lal, BAL, pal ( LALA LAJPAT RAI, BAL GANGADHAR TILAK, BIPIN CHANDRA PAL) were influencing rural India for joining them in their struggle towards the freedom in extremist way. Gokale was a moderate man who wants India to be free from Extremism. For this reason Gokale requested Mohandas to come to India and start freedom struggle. Mahatma went throughout India to look into rural problems and to knowhow the discrimination faced by the Indian in British India. With all his experience in South Africa, Mohandas started his Satyagraha and Non violence in India. Mohandas in his first movement in India was Champaran movement and Kheda movement. Champaran movement was in Bihar where the Farmers were forced to grow Indigo crop and they were not sanctioned to grow traditional crops like rice, wheat, barley for their survival. Indigo crop will produce the blue pigment for the textile industry located in Manchester. Kheda movement was in Gujarat where the farmers were charged immense quantity of tax from the British. He preached, the people of India that the British was playing the card of Divide and Rule among Hindus and Muslim. He united Hindus and Muslim by supporting the Khilafat movement which Muslim Indian league was supporting. He supported the Harijans by staying in their homes and asked them to support for nation movement. He started the movement of abolishing the untouchablilty from India. He initiated many number of movements in India some of them are Non cooperation, civil disobedience, Kheda Agitation, salt Satyagrah, and many more. 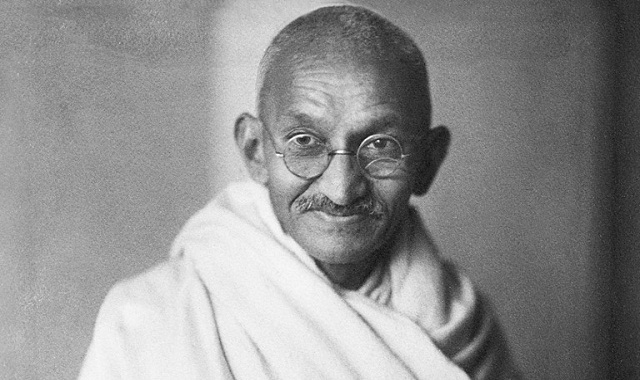 Gandhi from his experience in South Africa said to his followers to abolish the untouchablilty from India. He was the president of Indian National Congress and introduced the word SWARAJ. During the salt satyagrah he travelled 250km by walk to reach the shore and picked up a salt from the shore and started the salt satyagrah. He was much respected by his contemporary fellow party men. He went to jail many times while supporting the movement. His main role in the Non co-operation movement leads the British to leave India under two nation theory and India was divided into two India and Pakistan (east and West Pakistan). His migration from India to South Africa made him to acquire the leadership qualities under the strolling situations which made him one of the best ever respected and he was called as mahatma by people which mean Great soul. His leadership qualities which he implemented in South Africa were implemented in India also after migration led him to free India from British Empire. For this reason He is called by several names some of them are Bapuji, Mahatma. For his entire struggle to free India from British, Gandhi is known as the “father of nation”.